Job seekers in today’s labor market are more opportunistic than ever before. Previous generations held onto a good job tightly, likely at a single organization, with fear of unemployment. Today, a decreasing unemployment rate of 3.7 percent has contributed to a mentality shift. Employees are more willing to leave a current position with the hopes of something bigger and better. Employers have an unique opportunity to revisit their approach for reaching passive job seekers and the 70 percent of candidates who search for a job while at work. Although the technology components of a simple application, career page or offer letter are still essential foundations for hiring success, the interactions that occur along the way are what will establish a competitive strategy to win over these talented individuals. Ninety-five percent of job seekers see the way a potential employer treats them as a direct reflection of their employment experience. A lack of communication can quickly cause an excited candidate to feel disconnected from the hiring process and push them to spend more time looking into your competitors. Seventy-six percent relate the feeling of not hearing back from an employer to the frustration felt when not hearing back from someone on a first date, reiterating the importance of positive interactions to gain more investment in the process. 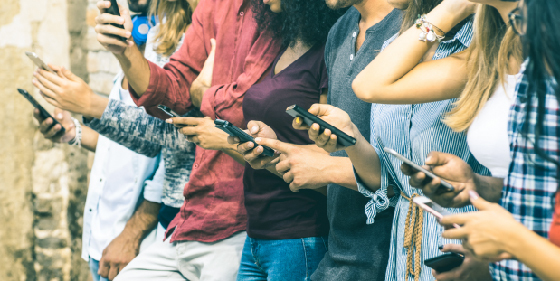 The text message has certainly revolutionized the way that employers communicate with talent, but there is more to modern candidate engagement than simply adding in text functionality. If not done strategically and in cohesion with a strong recruitment platform that establishes a roadmap for continuous engagement throughout the hiring process, organizations may not be maximizing ROI. Nearly three-in-five candidates have abandoned an application specifically because of issues or bugs with the online career site. Job seekers who visit your career site expect a personalized experience. As they visit the application page, it is critical to offer interactions that not only increase completion rates but establish a great impression of you as an employer. Organizations that place a live chat option on their career pages can answer questions and offer insight into logistics of the application or a particular position with real-time, automated and pre-built responses. When it comes to the scheduling stage of the hiring process, playing phone tag or waiting for email responses from candidates can cause frustration and waste valuable time. On that same note, recruiters who are managing interviews for a variety of roles and schedules don’t have the time to offer as meaningful interactions to every candidate who applies. The ability to sync up text communications with the organization’s interview calendar provides the opportunity to automate a message with a link to interviewer availability and allow candidates to schedule at their convenience from wherever they are. With any organization using text message to communicate, professionalism and compliance must be top of mind. When sending a recruitment communication to a candidate, it is essential to use a designated company phone number that can be tracked and managed within a dedicated candidate engagement platform. Not only does this allow for visibility and professionalism for recruiters to only receive messages while on the clock, but it allows candidates to opt-out of communication, restricts multimedia messaging and blocks personally identifiable information from being exchanged. Join us on Thursday, November 15 at 2 PM EST for the latest webinar in our monthly series hosted by iCIMS and TextRecruit to learn more about specific tools to strengthen candidate engagement strategies throughout the hiring lifecycle, including a live demo of the TextRecruit solution.